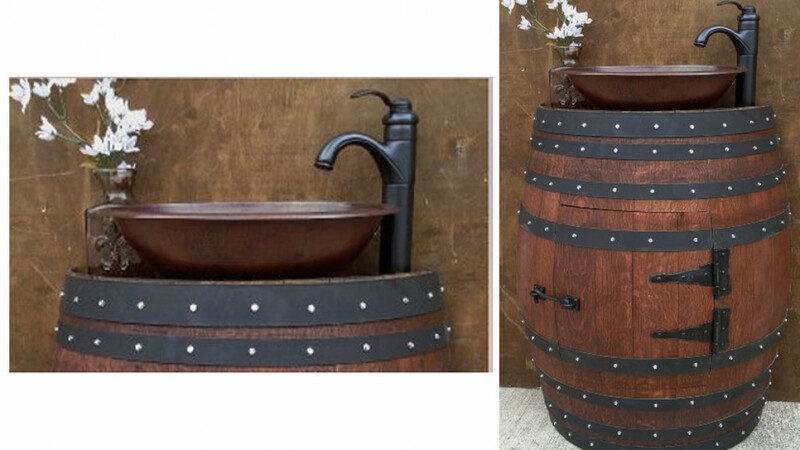 Add some fine rustic style to your bathroom with this beautiful French oak wine barrel bathroom sink. The barrel is made from certified French oak, the faucet is rubbed bronze and the basin is hammered copper. A unique and classy piece that will add some classic flair to any bathroom. The barrel is 28 inches wide which is large enough to be usable and small enough that you can fit it wherever you need it. There is a door with a shelf where you can store necessary items. Features a rustic mahogany finish.